Getting kids in the kitchen and cooking is something that I think is so important. I love cooking with my own girls, and the Super Simple Baking For Kids, by Charity Mathews is an awesome addition to our kitchen. Packed full of recipes geared toward budding bakers ages six to eight, this cookbook teaches kids everything they need to know to be successful in the kitchen. Charity’s recipes are recipes are fun, simple, and most important-- delicious! Food stylist Albane Sharrard brought her talents to help create these vibrant and playful images for the book. As always, it was a pleasure working with her and the team at Callisto publishers! What an ingenious approach to cooking! 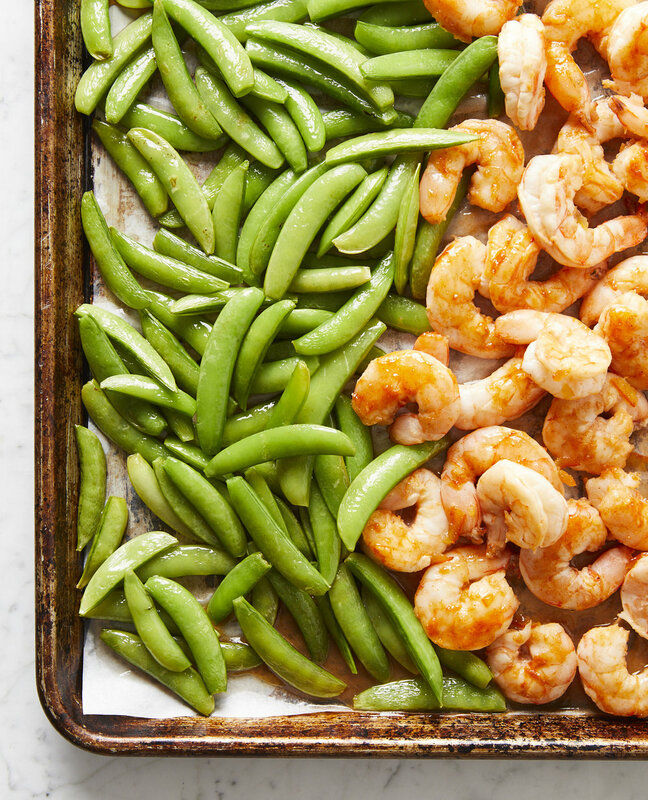 Ruthy Kirwan’s The Healthy Sheet Pan Cookbook is chock full of inventive, flavorful recipes. By tossing all the ingredients you need for a complete main course or side dish onto a single baking sheet, it makes both prep and clean up a snap. Working in tandem with Callisto Publishers and the talented food stylist Albane Sharrad, we had such a wonderful time on set capturing the essence of Ruthy’s recipes. From breakfast to hearty dinners; vegetarian to meat lovers; dairy and gluten-free options-- The Healthy Sheet Pan Cookbook has something for everyone, and is quickly becoming a favorite in my own home. Creative direction: This update of the classic home cheese making guide, by author Ricki Carroll, replaces the illustrations in the original with photos. I wanted the images to be accessible, educational, and beautiful all at the same time. The team from Storey Publishing was extremely organized, making for a smooth shoot. We documented the different steps in the cheesemaking process, and showed finished cheeses and serving ideas. While I love cheese and have photographed many different varieties, I’d never explored making it at home. This project was such a great learning experience for me! Creative direction: This was a fantastic collaboration with the creative team from the Every Day with Rachael Ray magazine. Plus: sprinkles! We shot a series of full-page images for the magazine’s “On Our Radar” section featuring different types of holiday decor for cookies, cakes, and chocolates. We played around with different shapes and colors of sprinkles, styling each to accommodate headline type. For a feature on homemade bark-style chocolate candy, we styled an assortment of recipes featuring unusual ingredient combinations. Working with the magazine’s editorial and visual team, as well as their super creative test kitchen crew, was a blast. Creative direction: Culture magazine stepped away from cheese— their usual subject—to spotlight the new trend in specialty yogurts. From Icelandic to Greek to French. The packaging of many of these products are half the fun— ceramic and glass jars, with attractive labels and lids. The yogurts were shot against simple backgrounds to provide a bold pop of color, which served as a contrast to the stark white yogurt, some with a jammy, fruit filled bottom. Use of strong lighting allowed the production of sharp shadows, further adding to the pop-art look of these images. Creative Direction: I loved working with lifestyle influencer and brand ambassador Hannah Bronfman, because she is so in touch with current trends. Hannah is all about balance. Seeking out the health benefits of food, while still finding the pleasure in eating. She gave us total creative freedom in making photos for her new recipe and lifestyle book with Harper Wave, titled “Do What Feels Good.” Hannah is friendly, approachable and ready for anything. In creating this book, we came up with a fun, fresh look that also feels a little indulgent— all in keeping with her brand. Our entire time had such a wonderful time during this shoot, both in her home and in the studio. Creative direction: Donuts and cheese might not seem like natural partners, but the editorial team from Culture magazine celebrated this unexpected (and unexpectedly delicious!) combination. For their annual pairings issue, I worked with the magazine’s editor and outside design firm Red Herring to capture different cheese pairings, including jam, wine, honey—and, yes, donuts! We also shot a layout that featured hand lettering created with honey. I love working with clients who are passionate about what they do, and the Culture team are such enthusiastic collaborators. Creative direction: L.M. Montgomery’s “Anne of Green Gables” is a classic of children’s literature, with its depiction of the heroine’s life on Prince Edward Island in the early 20th century. For this reissue of “The Anne of Green Gables Coobkook,” written by Montgomery’s granddaughter, we re-created the era and setting of Anne’s story. We photographed the 25 recipes, all inspired by foods mentioned in Montgomery’s beloved book, on location in a circa-1900s home in Upstate New York. An inspiration board guided our choices of vintage wallpapers, linens, tea service and other props — the shoot was a delightful step back in time. Creative direction: I loved that this editorial shoot let me explore a different visual style. I worked with the team from Wine Spectator and chef Victor Flores on the cover and feature package for the magazine’s tequila issue. In fact, the style was also a departure for the magazine, which usually spotlights bottles against a white background; instead, the textured blue backdrop for the cover makes the whole scene almost look painted. For the article spotlighting Chef Flores’s recipes, we referenced cookbooks and food magazines from the 1970s. The photos feature lots of bold color, stylized propping, strong light and deep shadows to evoke a lavish holiday meal in the chef’s native Mexico.